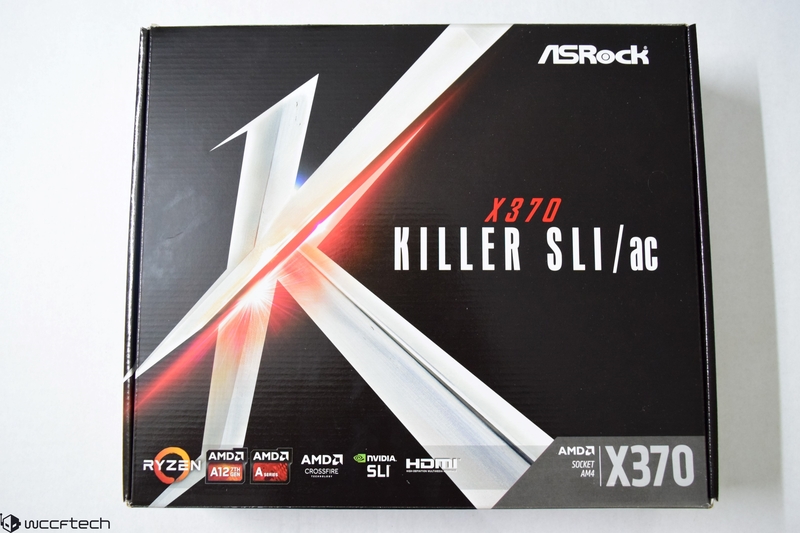 The ASRock X370 Killer SLI AC motherboard comes in the standard rectangular package with a white and black color scheme. 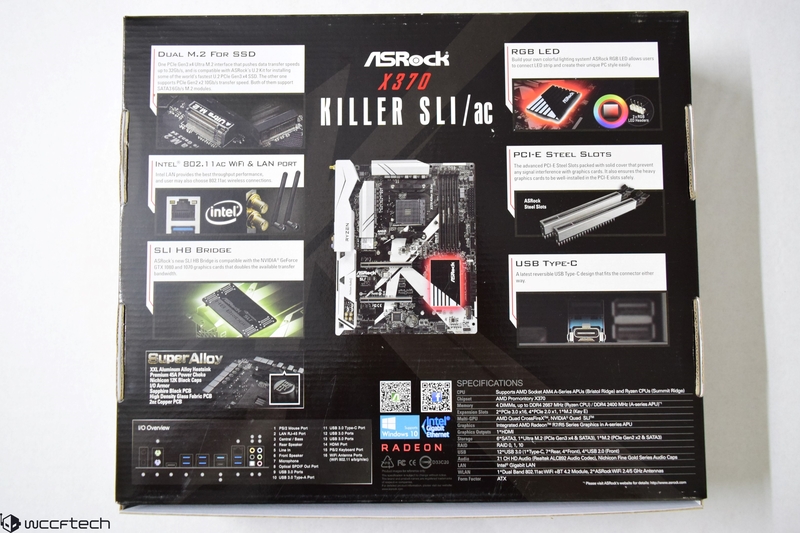 This is a fresh new box layout by ASRock that further designates boards through letters. The “K” in the middle stands for the Killer series. On the front of the board, we can see some key features for the motherboard. 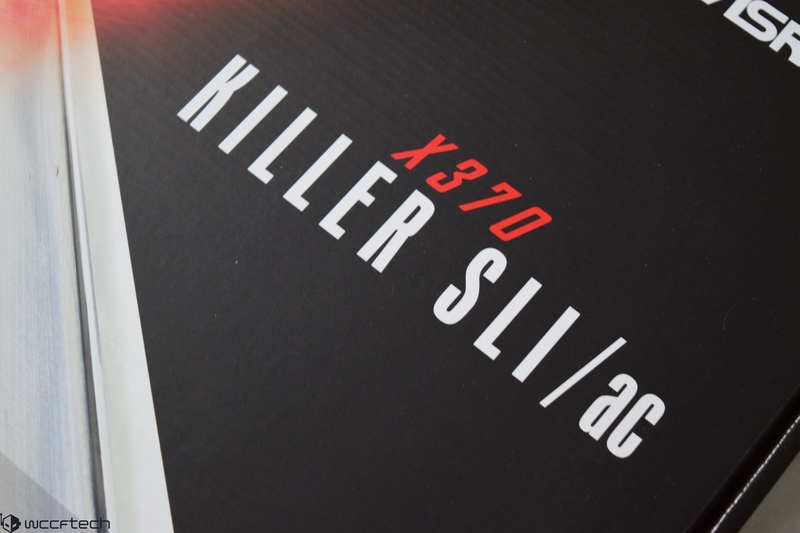 The X370 Killer SLI AC features the X370 chipset and supports AMD’s Ryzen, A12 7th Gen and A-Series APUs. The board supports HDMI, NVIDIA SLI and AMD CrossFire multi-GPU functionality. The back of the box contains all the marketing details along with product specifications. Most of the marketing tags have already been detailed by us in the “Features” section above. As can be seen, this board is loaded with features. The cardboard cover can be lifted to reveal the accessories as the motherboard is located beneath them. There are a ton of accessories here. 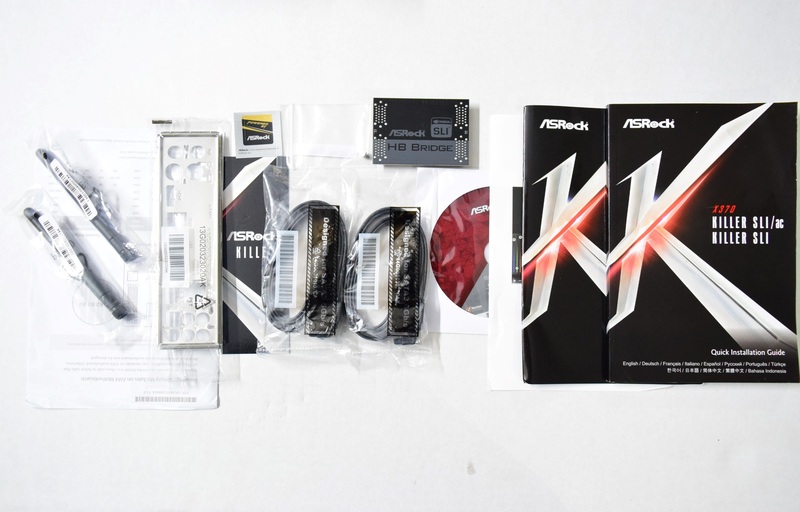 They include a metallic I/O shield, DVD driver disk, post card, user manual, software setup guide, four SATA cables, a high-bandwidth SLI bridge, a case badge and a pair of antennas for the wireless module. 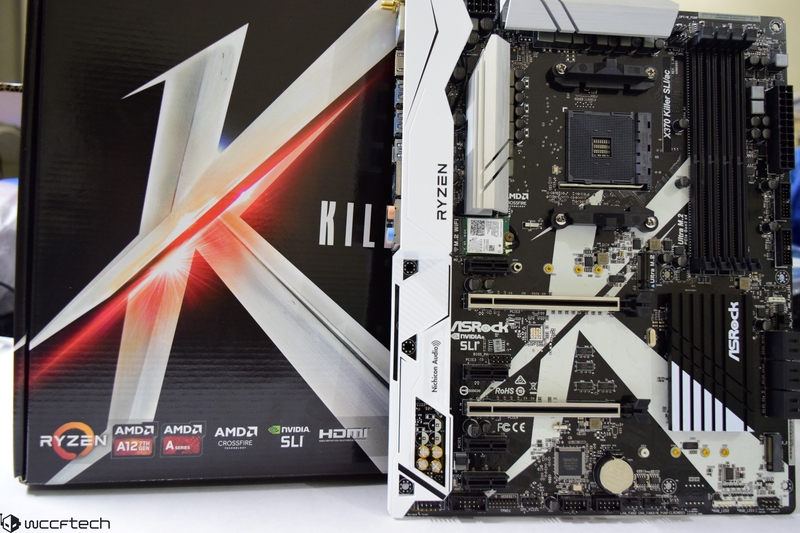 The ASRock X370 Killer SLI is a nicely built board out of the box. It has a new color scheme and the white/black color combo looks great. The design scheme and featureset make this a very solid motherboard so let’s take a detailed look at the board and see how well it stacks up.